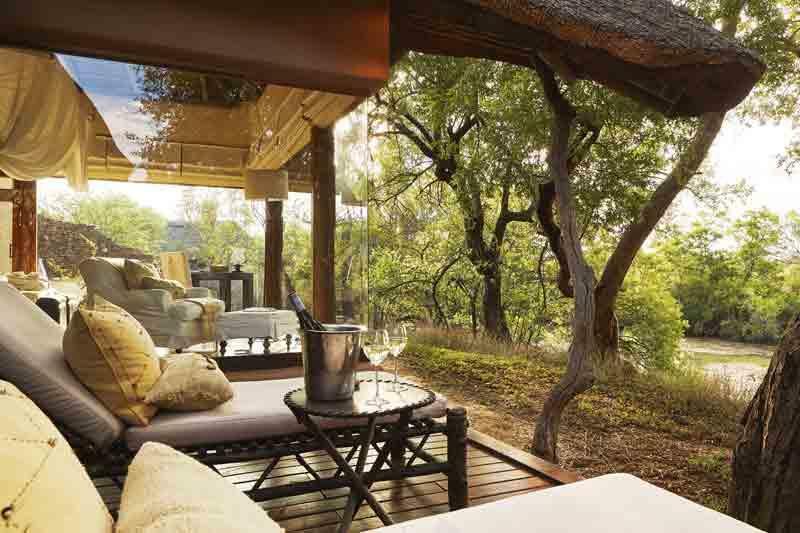 Our first wildlife safari experience will take place in and near the Madikwe Game Reserve in South Africa. A vast area of plains, interrupted by rocky outcrops, the 300-square-mile reserve hosts packs of the endangered wild dog. In addition there are healthy predator populations — lion, cheetah, and leopard. Black and white rhino and a wide range of antelope are numerous. Birdlife is outstanding as well, with numerous species of the nearby Kalahari Desert. 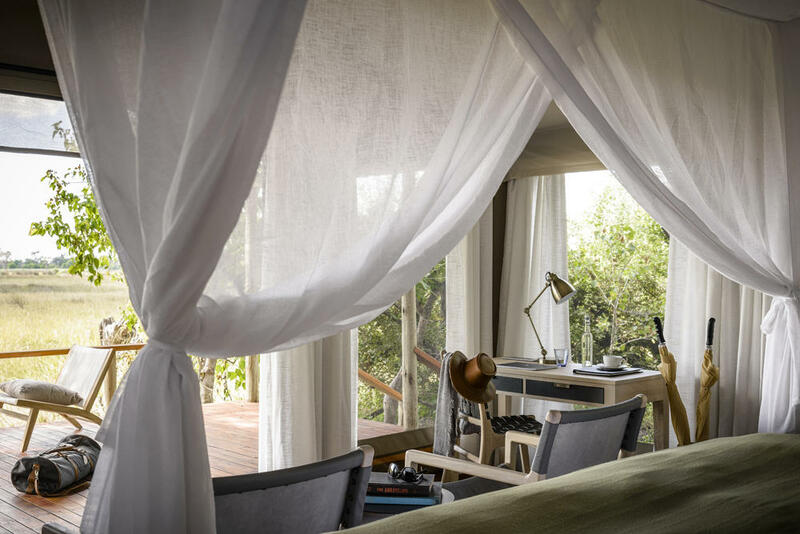 Our intimate-in-size luxury safari lodge, with welcoming service and exceptional cuisine, is situated on private ground and hidden in lush riverside forest. The country of Botswana, our next stop, is exceedingly rich in wildlife, and its vast expanses of nature are filled with a wide variety of fauna and flora to see and experience. In fact, some safari aficionados consider Botswana to be Africa’s best country for this type of experience owing to its policy of keeping the number of visitors on the low side. 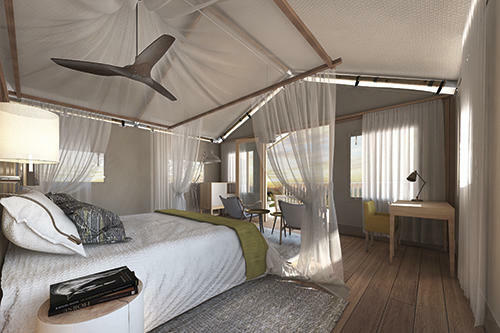 We experience one of the world’s great natural phenomena, the tranquil Okavango Delta, a 6,000-square-mile inland flood plain (larger than Connecticut) that fans out in the northwestern corner of the country, creating a paradise of palms, papyrus, crystal-clear channels, and backwaters. 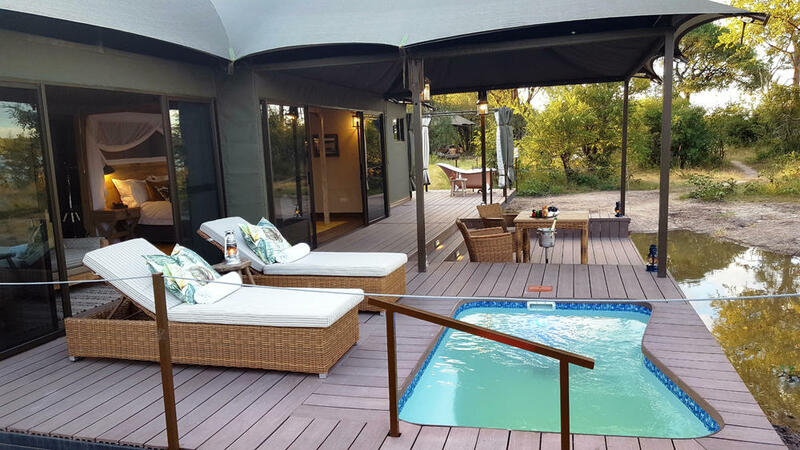 Set in a massive sea of Kalahari Desert sand, this fragile wonderland of waterways, islands, and forests is an oasis for wildlife, drawn to its life-giving waters from the surrounding thirsty lands. The evening air is filled with the sounds of birdcall, frogs, and antelope rustling in the reeds. Wildebeest, buffalo, and zebra roam the islands; elephants wade across channels under the watch of hippopotamus and crocodiles; and predators like lion and leopard rule the night. 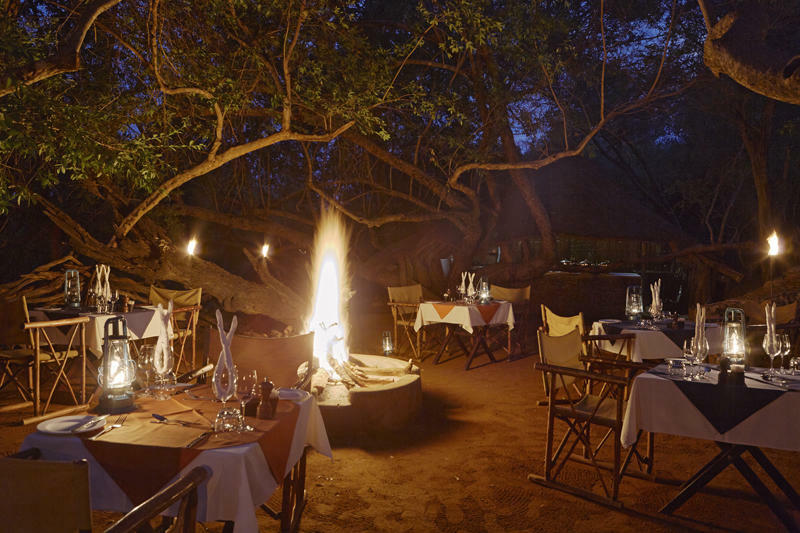 You will never forget our small-scale luxury safari “camp” here with its beautiful accommodation, very warm staff, and delicious cuisine. Straddling the border between the countries of Zimbabwe and Zambia, Victoria Falls is justifiably called one of the Wonders of the Natural World, and spans a little more than a mile, making it the widest show of its kind on earth. The sight of more than 2 million gallons of water per second from the Zambezi River crashing 350 feet down (twice the height of Niagara) is one not easily forgotten. On a clear day, the veil of the roaring spray can be seen from up to 20 miles away, and the rain forest that clings to the cliffs opposite the falls in the Victoria Falls National Park is nourished by this constant spray. It is this phenomenon that gave the falls its local name: Mosi-Oa-Tunya — literally, “the smoke that thunders. 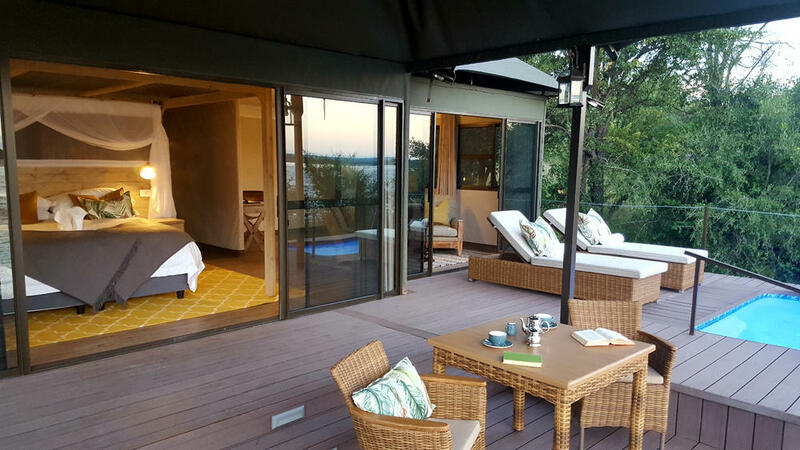 Our new luxury lodge on the Zambezi River is located just a short distance upstream from the falls. Following is a description of the excellent lodgings we intend to use as we plan this tour. Please note however that we reserve the right to make changes to these accommodations. An exceptional space . . . An atmosphere of sophistication . . . A unique design . . . The upscale accommodation that we’ve selected in Cape Town has just a dozen rooms, minimalist yet soothing in their decor – some facing to the sea, others to the mountains. It’s positioned in the Green Point district of the city, within walking distance of many of the great attractions of Cape Town, such as the fashionable V&A Waterfront, the colorful Cape Malay neighborhood of Bo-Kaap, the chic Cape Quarter commercial area, and the Central Business District. Nestled among lush trees the hotel enjoys a semi-secluded feel while being in the middle of the city. And with no mainstream design here local creativity is clearly on display. Some of the room features include king-size beds, free wifi, and coffee/tea makers. There’s also a small pool, and you can take advantage of a massage in their treatment room to help shake off jet lag! 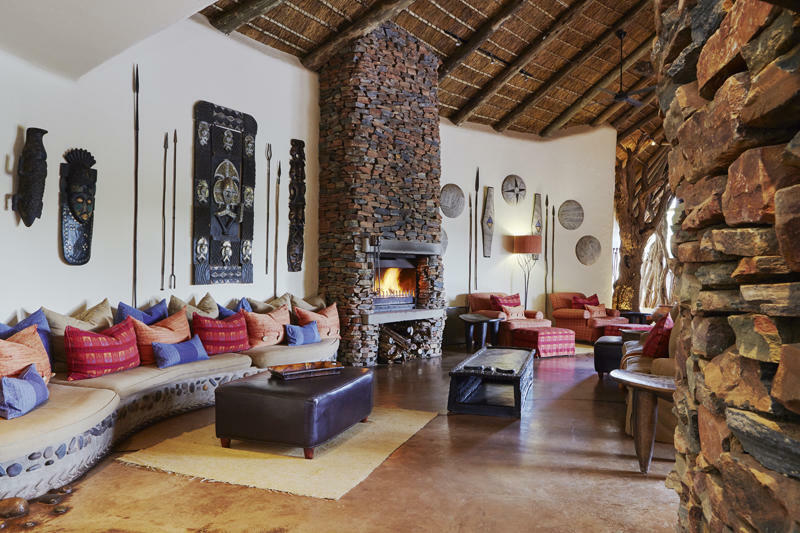 Luxurious accommodation, exceptional cuisine, welcoming service, and thrilling game viewing combine to create an unforgettable luxury safari experience. 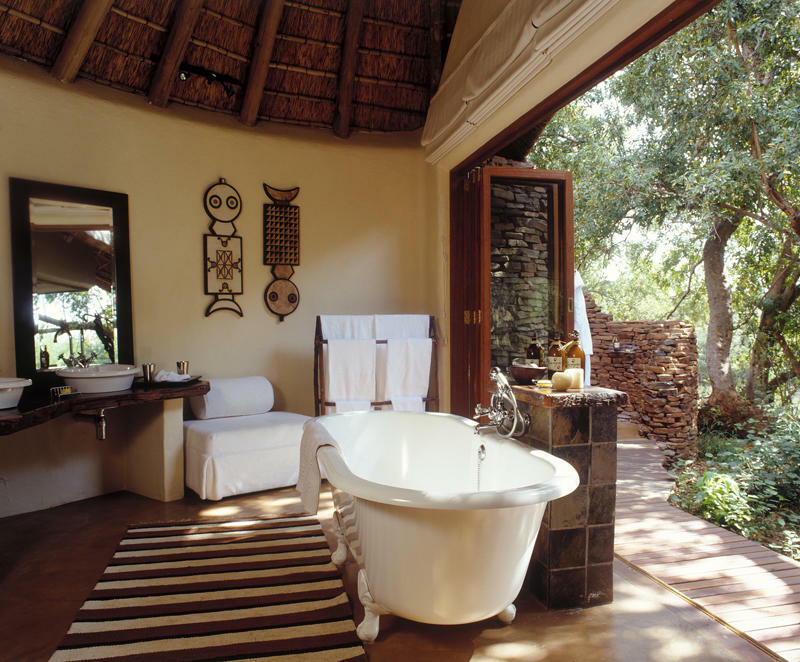 Situated on private ground within the malaria-free Madikwe Game Reserve in South Africa’s North West Province, the lodge caters for a small number of guests, ensuring personal attention and exclusivity in its luxurious and air-conditioned suites. 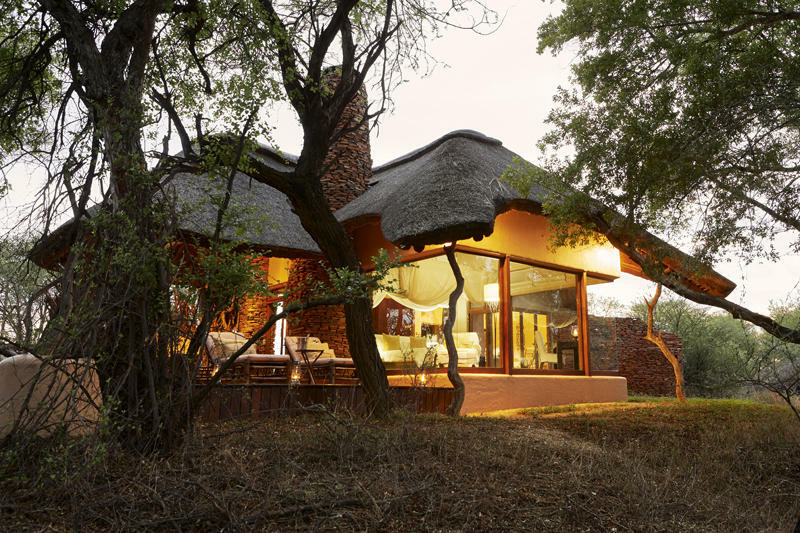 The reserve is home to the “Big Five” (lion, leopard, elephant, rhino, and buffalo) plus cheetah, giraffe, hyena, and a host of other game and bird species. Expert guides are at the ready to reveal all of this to you. 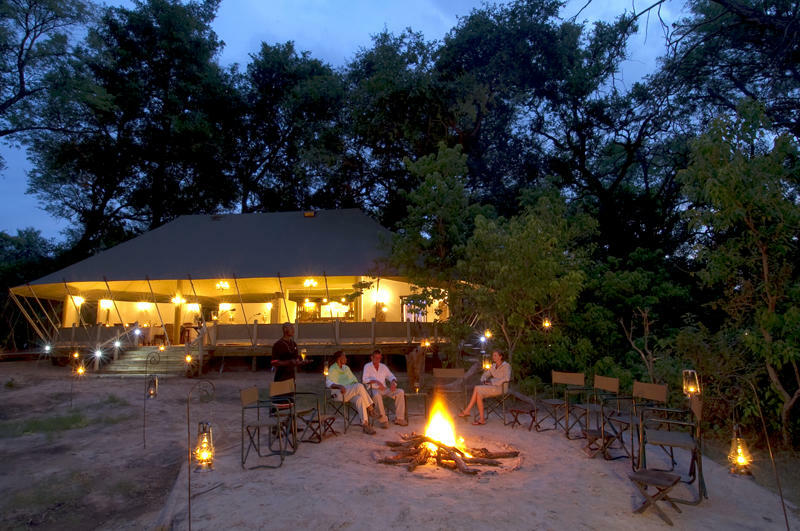 Additionally, our lodge is located on 4,000 acres of privately owned ground which is reserved exclusively for the guests. 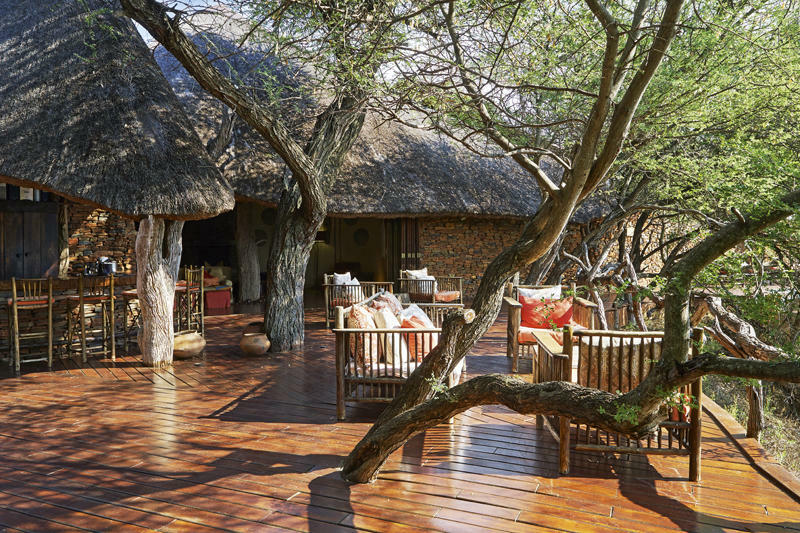 Designed to have minimal environmental impact — constructed from local stone, wood, and thatch and blending effortlessly with the bush — the lodge allows guests to continuously experience the natural beauty of the surroundings. 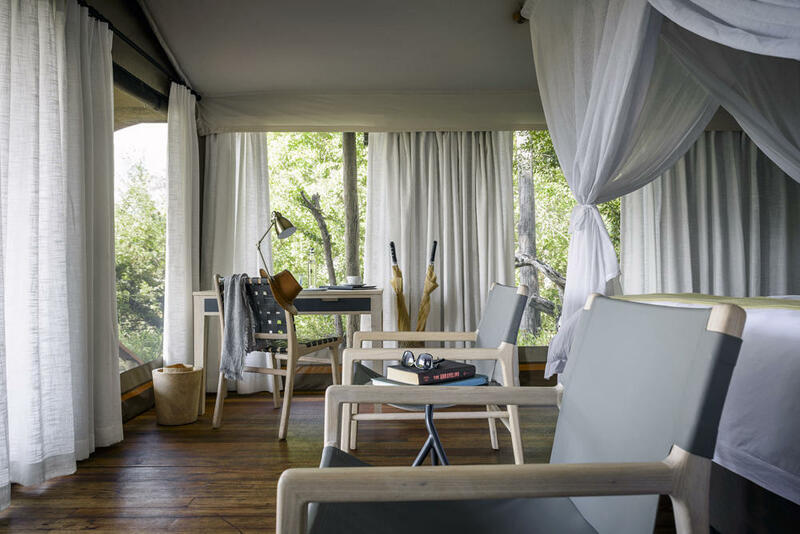 Hidden in riverside forest, the suites, each with glass-walled bedrooms, overlook the Limpopo River, offering uninterrupted views of the surrounding bush. 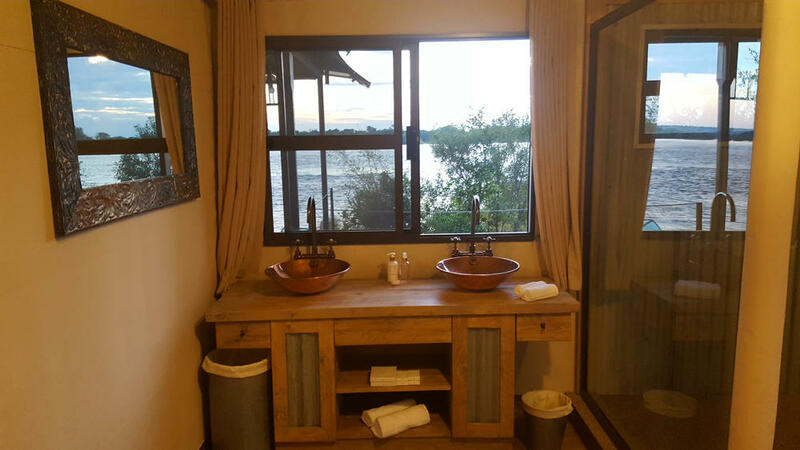 The suites also have private sundecks and spacious bathrooms (with roll-top bathtubs as well as indoor and outdoor showers) that can be opened to the forest. On the property are an infinity-edge swimming pool, gym, health and beauty treatment center, and lookout point with magnificent views. 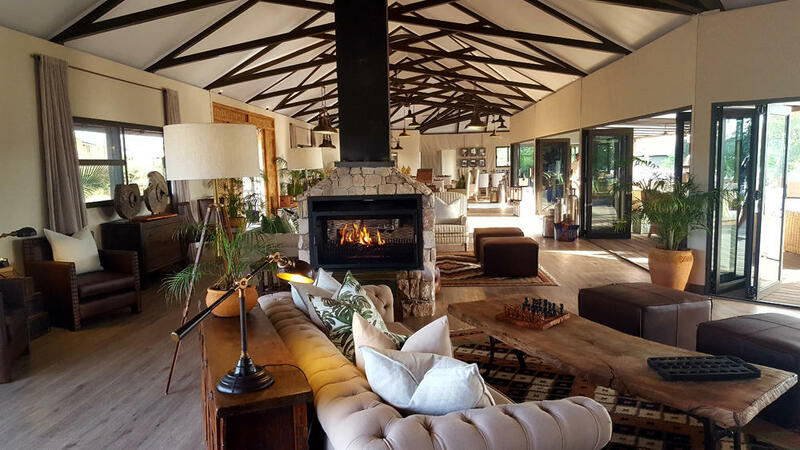 Further, our lodge prides itself on the exceptional quality of its food and wines, adding another memorable dimension to your stay. 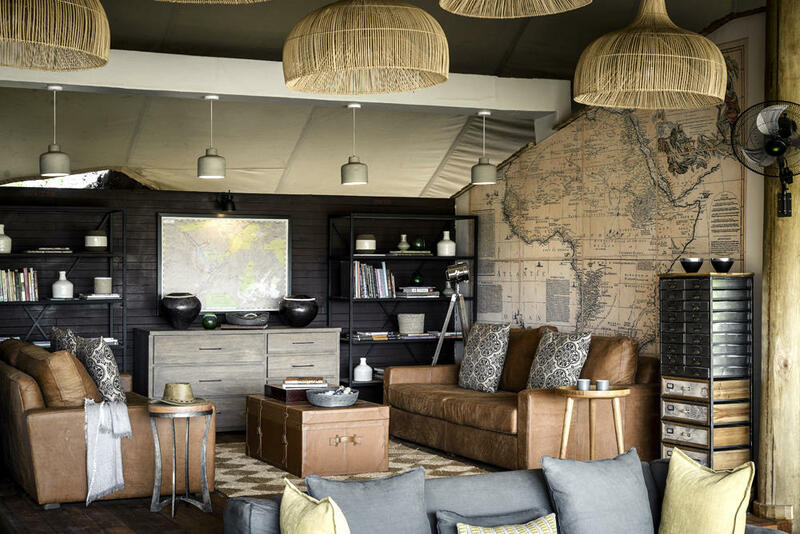 Our camp in the renowned Okavango Delta is a classic African tented camp with just a handful of luxury canvas tents, all remodeled in 2018 as we publish this itinerary and crafted with five-star fixtures as well as sustainability in mind. 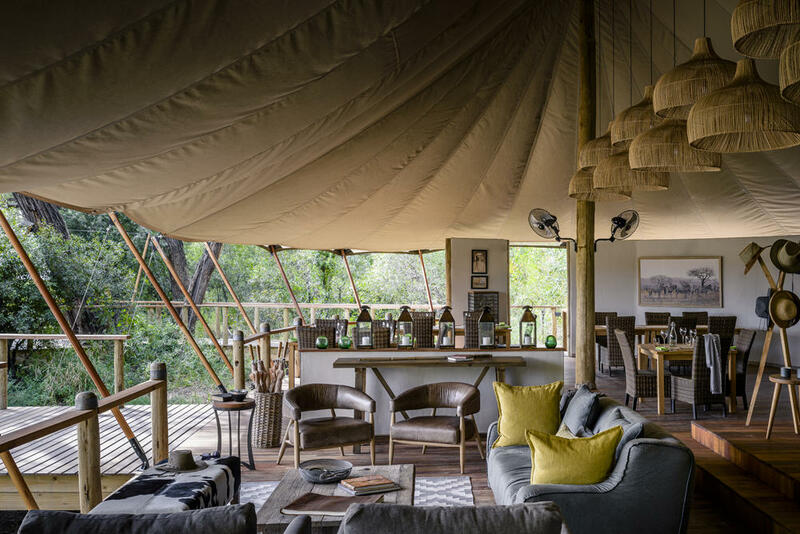 The traditional camp is built on a 260,000-acre private concession and has a large lounge area and dining area with lovely views over the floodplains. The main area features a new outdoor bar with the best possible views of the floodplains, a small library area, and curio shop. 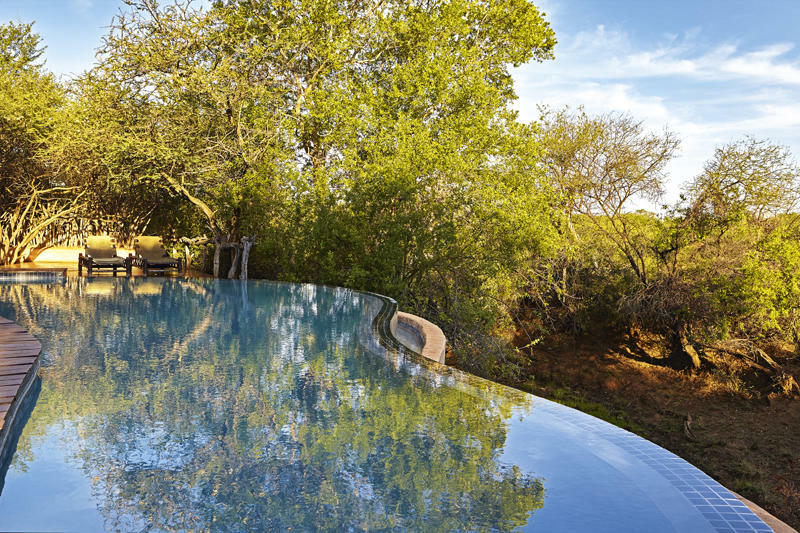 From the swimming pool — a real treat after a hot day of game viewing — guests can watch giraffe and other plains game march across the savannah and sometimes catch a glimpse of rare wild dogs. 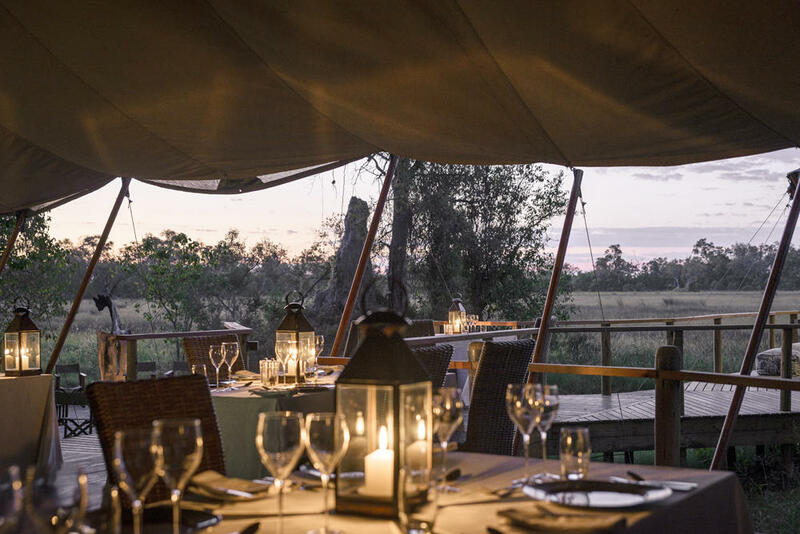 Each tent has a deck with views over the floodplains, allowing prime game viewing from your tent with a freshly made cup of tea or coffee to hand. The camp is also home to a unique elephant interaction project where you can walk with rescued orphaned elephants — an uplifting experience that will remain with you long after you’ve left. 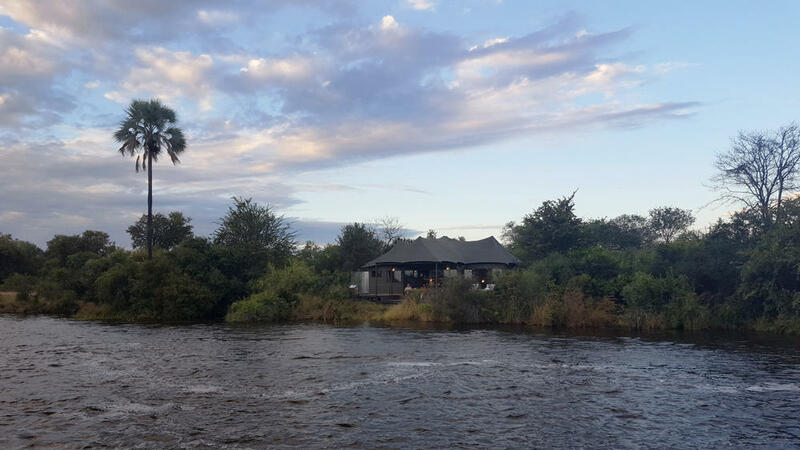 The Okavango Delta is flooded for part of the year and when it is, guests can experience serene silence at the gentle pace of a poled mokoro excursion along the narrow channels. These are 2-person canoes with a poler on the back who steers you through the channels. This activity is water-level dependent. Sightings of four of the “Big Five” (no rhino in this area) are common here on the Okavango Delta where the wildlife and game viewing is staggeringly special. 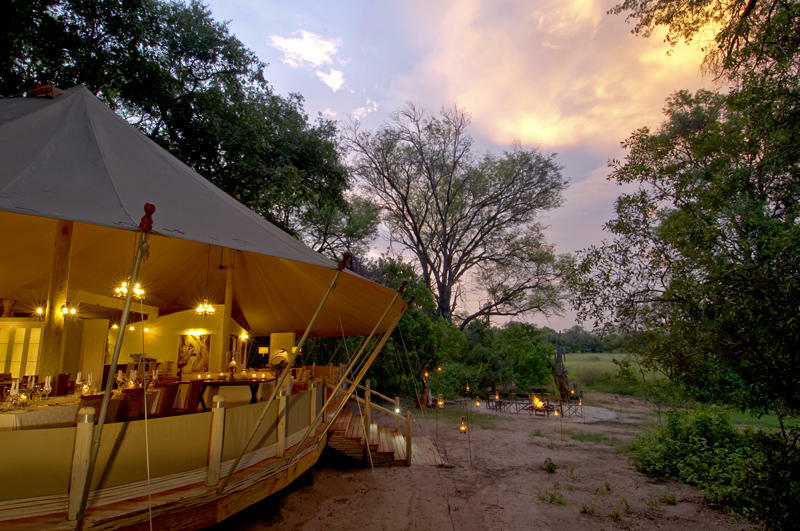 Shared only with its (even smaller) sister camp this vast patch of the delta in northern Botswana is so private that only the camps’ vehicles tour these precious, pristine grassy plains. 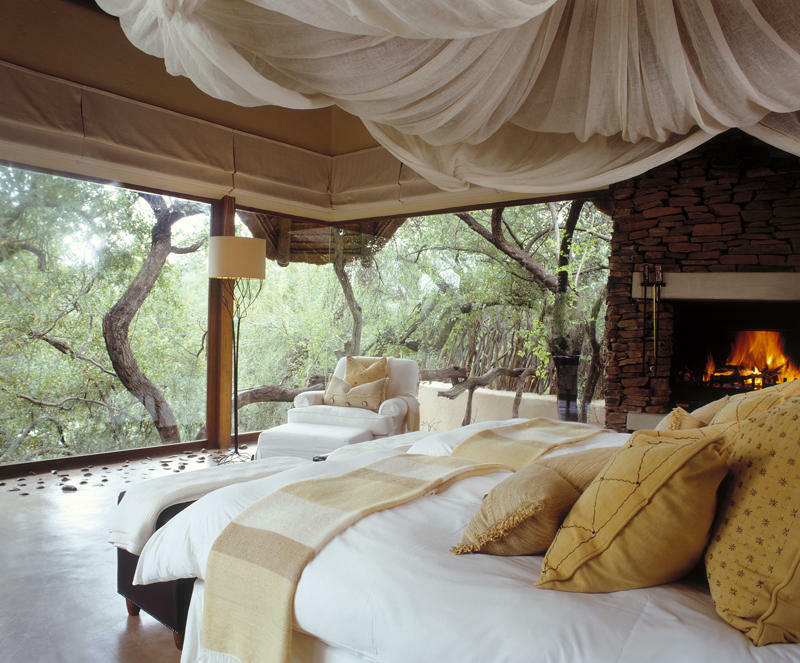 This ensures a more exclusive safari experience and allows a deeper connection with the wild. 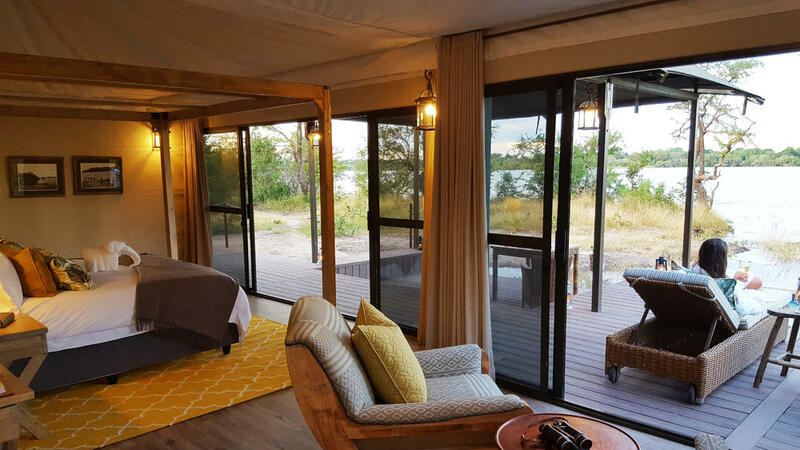 Our last accommodation is a private luxury lodge within the Zambezi National Park right on the banks of the mighty Zambezi River that is scheduled to open in the first half of 2018. From the lodge the massive spray of Victoria Falls is visible in the distance about four miles downstream. Each spacious canvas suite has been tastefully decorated with stylish furnishings and fittings and comes with a king size bed, comfortable lounge, complimentary minibar, air conditioning, ceiling fan, mosquito nets, indoor/outdoor showers, twin basins, outdoor bath tub with a view, robes and slippers, private plunge pool, wifi, and a private viewing deck where you can sit and take in the river scenery and whatever might be happening at the moment. The only thing that really resembles a tent is the canvas on the outside. 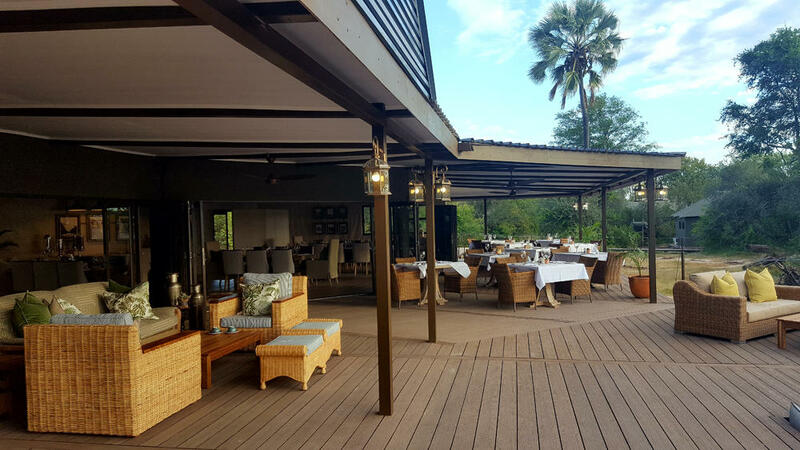 The main lodge has an open-plan lounge and dining area and is positioned just back from the river in view of wildlife that often passes in front (possibly elephant and hippo, for example). There’s also a watering hole on the other side of the lodge where animals congregate when they’re thirsty. The cuisine here is top-notch with a choice wine list. 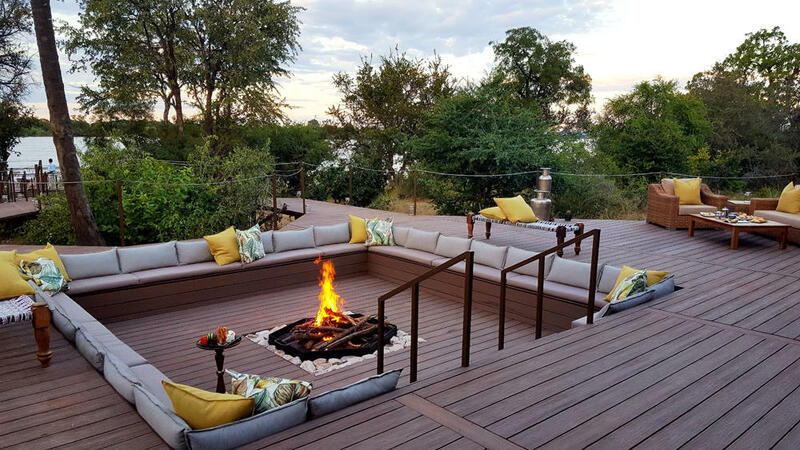 Taking advantage of its position on the Zambezi River the lodge includes a cruise on their own small boats as part of the available activities. Wonderful accommodations; great food; fantastic guide; good service throughout! Thank you. Looking forward to a third trip with Venture Out.